A blacklist is a list of sources, such as IP addresses, sending domains, URLs, or even users that are denied access to your computer or network because of suspicions that they are the source of unsolicited bulk emails, or worse, contain malicious code that could cause harm. 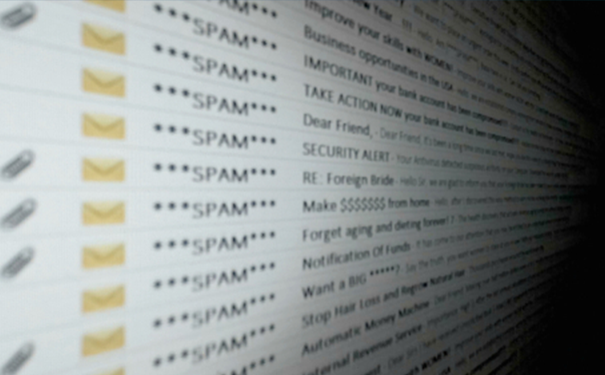 In particular, email blacklists are used to reject or isolate as "spam" messages sent from suspect IP addresses and domains. Most ISPs, such as USA providers Verizon or Comcast, and email services such Yahoo, or Gmail maintain their own internal blacklists. Blacklists are also developed by independent organizations, sometimes vendors of anti-spam products, and in some cases non-profit groups, who maintain a list of emails and IP addresses that have been identified as sending spam. These blacklists are then made available for use by ISPs or any organization that runs its own mail servers. Most blacklists are implemented as real-time databases that determine if mail from a particular IP address is spam, based on pre-set criteria. Many blacklists are available, all with slightly different ways of determining if an inbound email is considered to be spam. Developers of blacklists typically use a combination of spam complaints, spam traps, and other proprietary data as criteria for adding a source to a blacklist. Can I be removed from a blacklist? If your sent mail or domain is blocked by a specific ISP or search engine, often you will be able to request a delisting or at least additional investigation as to why your IP address or domain is being blocked. To submit such an unblock request, you'll have to provide some details about your email program, typically including IP addresses, sending domains, date of occurrence, and any specific SMTP error codes. I'm not a spammer! How do I prevent my sending address from being blacklisted? Never buy email lists. The recipients on such lists are likely to mark your unwanted emails as spam; identifying them to the ISP or spam filter as a source to add to their blacklist. There's also a good chance that a spam trap, which is an email address specifically created to "catch" spam, is included in the list. Emails that you send should each contain unique content. Do not repeatedly (as in tens or hundreds of thousands of times) send the same or similar content. Employ double opt-in to approve email list subscribers. This guarantees that subscribers are signing up with their own email addresses that are indeed valid. Don't overuse certain triggers that spam detectors look for: punctuation like exclamation points (!) and many words that suggest hype like "guaranteed," "win," "free," and "opportunity." Also, messages containing offensive words or off-color topics are often automatically flagged as spam. Don't send an email composed of one big image. Spam filters look for these, as it could be a way to circumvent the algorithms that are looking for signs of spam in the message text. Don't use all capital letters, in the subject or the message. If you are running your own email server, use good, reliable security software to protect the server from cyberattacks that could compromise it and make it part of a botnet that sends spam. My emails aren't spammy, so why is my domain on a blacklist? Despite adhering to these best practices for preventing your emails from being flagged as spam, you might find that your IP address or domain is on a blacklist anyway. This is because malicious actors can hack your computer, the network, or your website and send emails from your IP address or domain without your even being aware of it. In particular, legitimate websites are often compromised by hackers in large numbers, and their stolen resources are used together to launch attacks on larger domains. One of the resources attacked can be the website's email generator. Attackers can load malicious files into targeted websites. Code in these files can send tens of thousands (or more) of spam emails that appear to originate from the website's domain. The emails can contain explicit content and redirect traffic to other websites, or even worse, spread more malware. Such large volumes of email, with additional characteristics showing that they might be malicious, will trigger antivirus vendors (such as Norton, McAfee, Sophos) and search engine operators (like Google, Bing and Yandex) to blacklist the website. Yikes! How do I prevent cyberattacks that lead to blacklisting? The good news is that you can take even stronger steps to prevent, fix, or repair blacklisting beyond following good email-sending protocols. A website security solution such as Comodo cWatch Web can be your weapon against hackers trying to send malicious emails from your website's domain. Comodo cWatch Web is a fully-featured, managed, cloud-based security solution that can protect your website from hackers who could infiltrate your systems. It is available with a robust web application firewall (WAF) that can block advanced threats such as Denial-of-Service (DDoS), Cross-Site Scripting and SQL Injection attacks. The WAF is provisioned over a secure content delivery network (CDN) and monitored through the Comodo security information and event management (SIEM) system. Web traffic is continuously monitored and alerts are immediately received by security experts at the always-on (24/7/365) Comodo Cyber Security Operations Center (CSOC). Once an alert is received, certified analysts deploy countermeasures to the web application firewall and address security events before they escalate to security incidents, all in real-time. Web application firewall (WAF): The web application firewall offers powerful, real-time advanced malware protection for web applications and websites, including filtering and intrusion protection. The firewall keeps out those who would hijack your website for spamming and worse. Security information and event management (SIEM): The SIEM is the "brain" of the Comodo cWatch Web cybersecurity stack. It tackles real-time security monitoring, advanced threat detection, incident management, and forensics, all with the support of data from 85M+ endpoints and 100M+ domains. Cyber security Operations Center (CSOC): A team of always-on certified cybersecurity professionals provides surveillance and remediation services 24/7/365. Better SEO from a secure, fast content delivery network (CDN): Besides built-in security, the Comodo CDN delivers web content at a faster rate by caching at many global data center servers in order to meet traffic spikes and shorten the distance to local servers. This can improve your website's search engine visibility (SEO) and ranking. PCI scanning: If your website is also a payment portal, PCI scanning ensures that it complies with the PCI DSS (Payment Card Industry Data Security Standard).